My friend Angie introduced me to Emporio 231 Mott Street, New York, NY 10013. Very good Italian food and the price is great if you book through Savored (invite link). When a couple of us gathered there for a girls’ night out, we were seated when Angie said, “you have to try the Kale Salad!” Of course, we all loved it–Angie is a taste bud. 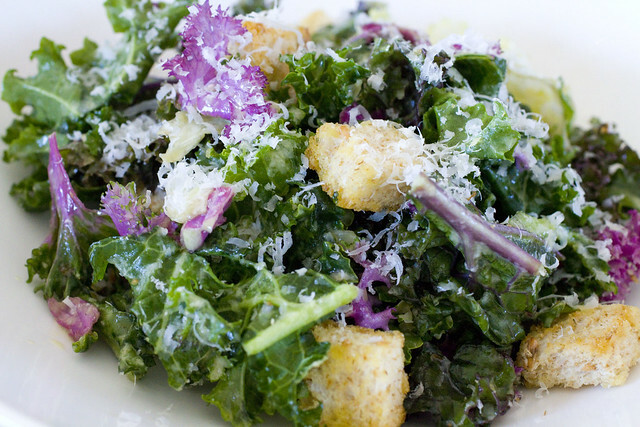 On the menu, they call it Cavolo Nero which just means black leaf kale, the type they use. What they don’t say or write is that it was essentially a Caesar Salad made with kale instead of romaine lettuce. I immediately thought to myself: I’ll make this for the girls next time they come over. I did and they all approved of this recipe 100%. What I consider 8 to 10 servings was gobbled up by six people.